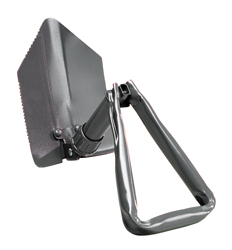 Compact steel folding shovel opens to 23" and folds to just 10" for easy storage. Positive locking collar. One per box.